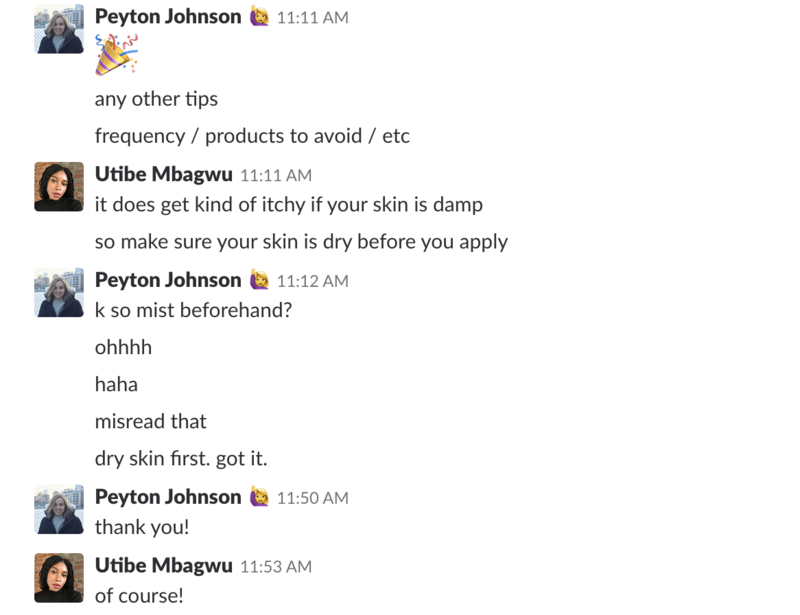 The following is an absolutely real, not at all staged conversation that happened between Utibe Mbagwu and Peyton Johnson one day last week around 10AM. While it may not be the longest thing you'll ever read on this site, what it lacks in length it more than makes up for in authenticity. (Seriously, Emily Ferber heard this happened and stole the screenshots off Peyton's computer.) 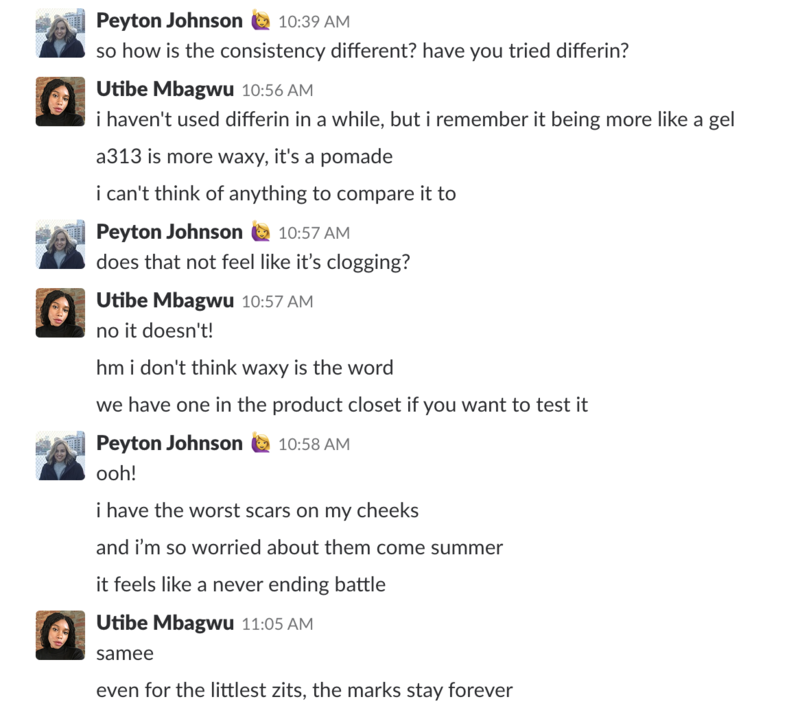 Because sometimes the best beauty conversations aren't from wordy reviews or write-ups; they're just real, honest-to-God chit chat that happens between friends. 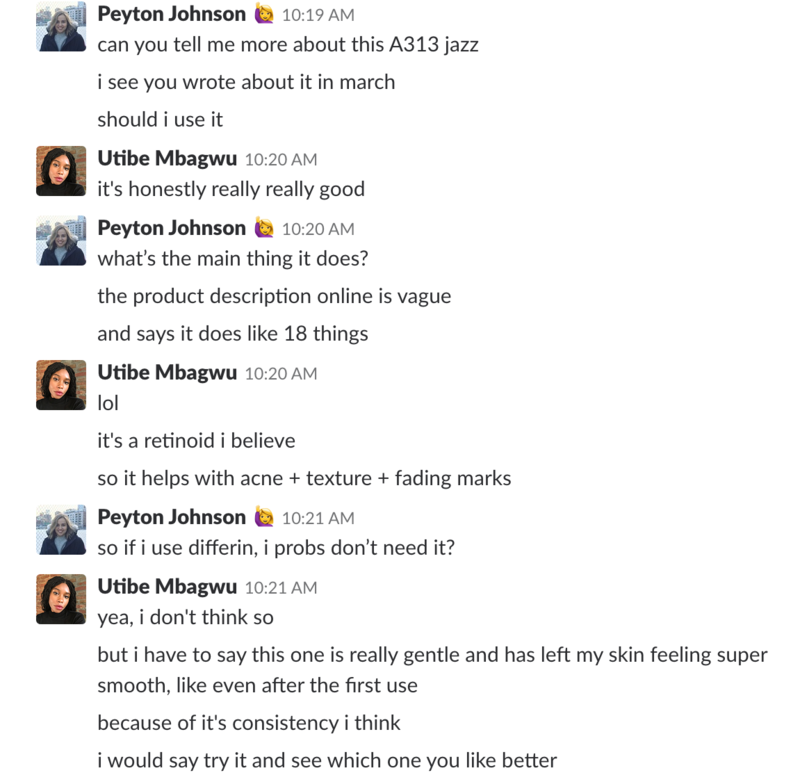 So, on the off-chance you have also been wondering about retinols, retinoids, and how to get rid of pesky acne scars, please enjoy. And keep it going—this is what comment sections were made for. 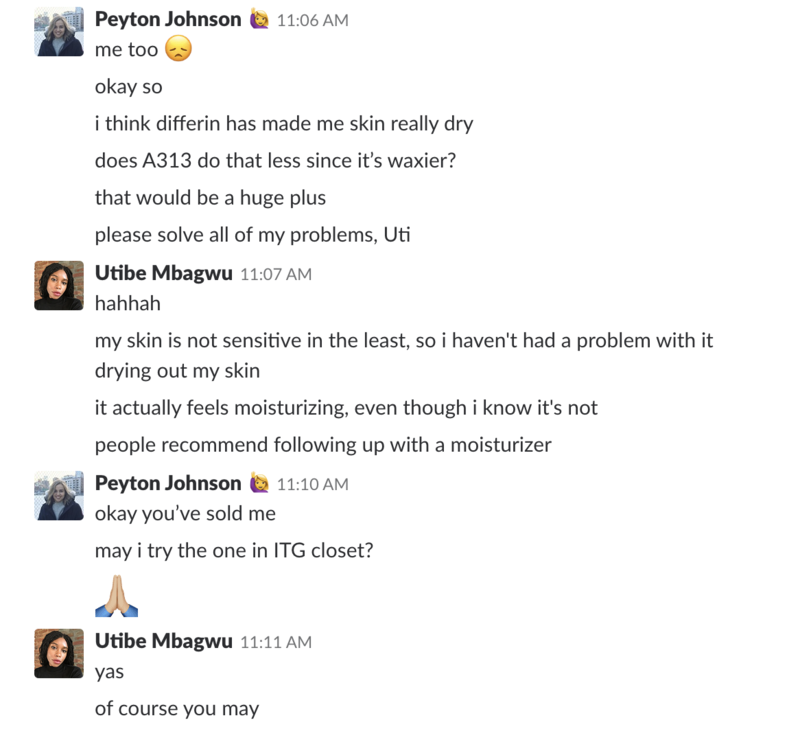 Products mentioned: A313 Vitamin A Pommade and Differin Gel.